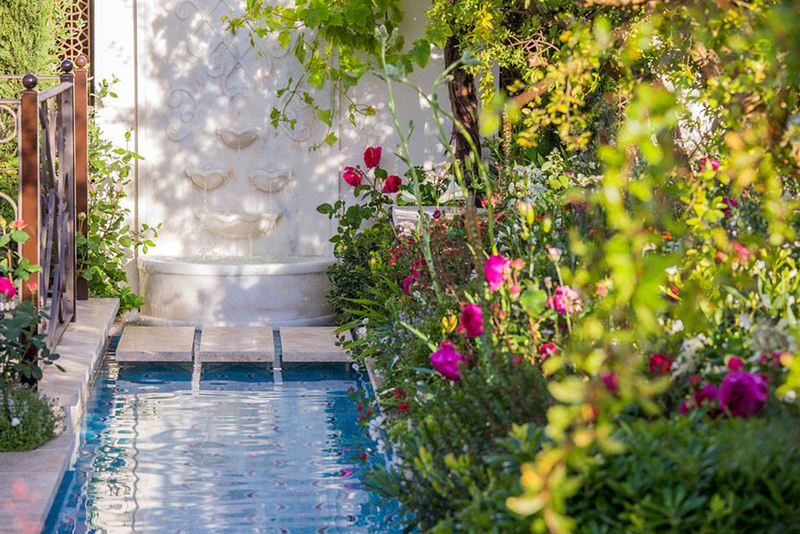 An international landscape architect and multi-award winning garden designer, Nilüfer Danış has brought the essence of Turkish gardens to Britain. 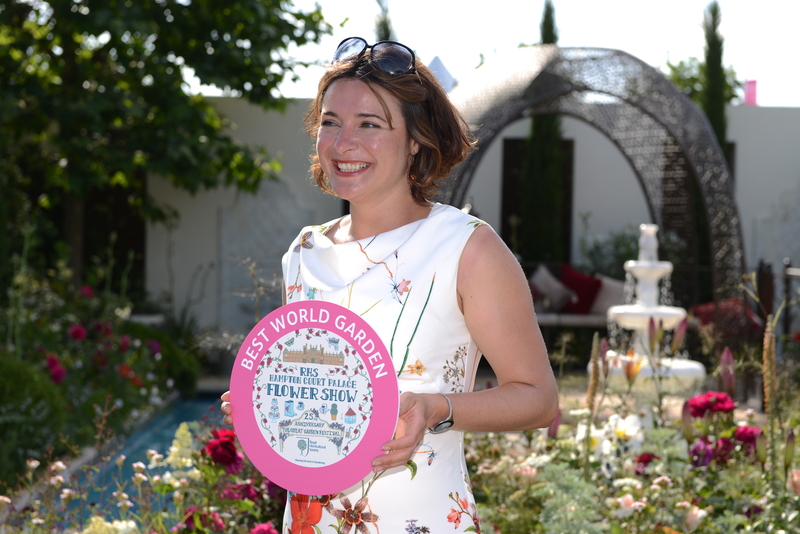 In 2015, she designed the first-ever Turkish show garden at the prestigious Hampton Court Palace Flower Show, winning a gold medal in the process. She talks to T-VINE about turning the world green and sustainable. I am from Çorlu, Tekirdağ, but I have been living in London for over 16 years now. I have two brothers and one sister. I am the youngest in the family. I was always good at maths and art as a student. My school careers adviser told me to pursue architecture. However my sister suggested landscape architecture as she read about this popular new career. I thought “That sounds more exciting and colourful”, because I love nature. After studying landscape architecture I realised what a great choice I had made, as I can have more impact on people’s lives on a bigger scale, especially with global warming issues these days. We need more landscape architects to make the world a greener and healthier space. So what’s the difference between a landscape architect and a landscape gardener? Although there is overlap between the two disciplines, a landscape architect has more formal training and a broader range of capabilities than a garden or landscape designer. To get a license to practice, an applicant must have an accredited degree in Landscape Architecture and have worked the required amount of years alongside a registered Landscape Architect. They also have to pass a chartered exam set by the Landscape Institute to practice in Britain. These credentials allow them, among other things, to identify and resolve complex grading and drainage problems, have expertise in construction methods and materials, and understand plant materials in the context of local eco-systems. Their knowledge equips them to work on complex projects. Garden or landscape designers just need to complete one year at college. They are not required to be licensed, nor are they regulated. However garden designers tend to have more training in planting design, best horticultural practises and plant identification. They fall somewhere in the middle between landscape architects and horticulturists, and typically work on residential projects. What would you say are the key ingredients to making a successful, sustainable garden? The first step is to understand a client’s needs and how they would like to use the space. The second is their budget, and the third is educating your client about the importance of sustainability and how we can achieve that in their space. Generally speaking, sustainable gardens cost less than non-sustainable ones and they are more interesting too. These rules apply to both large and small spaces. How do you find inner London living? There are impressive sustainability efforts in London, with many parks and green spaces, use of renewable resources, recycling, local city farms and allotments etc. The government and local councils are forcing architects, urban designers, landscape architects and housing developers to create more sustainable and green spaces, and to reduce carbon footprints with planning guidelines. However, more could be done to create fewer hard landscapes and impermeable surfaces by ensuring project budgets are sufficient to create healthy green spaces, rather than just providing a grass area with poor planting because developers have spent all their money on luxury doors and windows, but nothing for proper landscaping outside. All housing developers should produce high quality, sustainable public spaces with increased numbers of species and water features, rather than just throwing up blocks of flats without consideration for the public and the environment. My approach in design is modern and minimalistic. I believe that we create environments for people and each place should have its own character, style and soul which suits its users, rather than just having designers’ signatures on them. At the end of the day, the people who use the space are the owners: they will live there, not the designers. Which of your awards has given you the most satisfaction? In 2015, I created a Turkish Garden of Paradise at Hampton Court Flower Show, which won a gold medal and also the Best World Garden award. It was my third show there and I was over the moon. 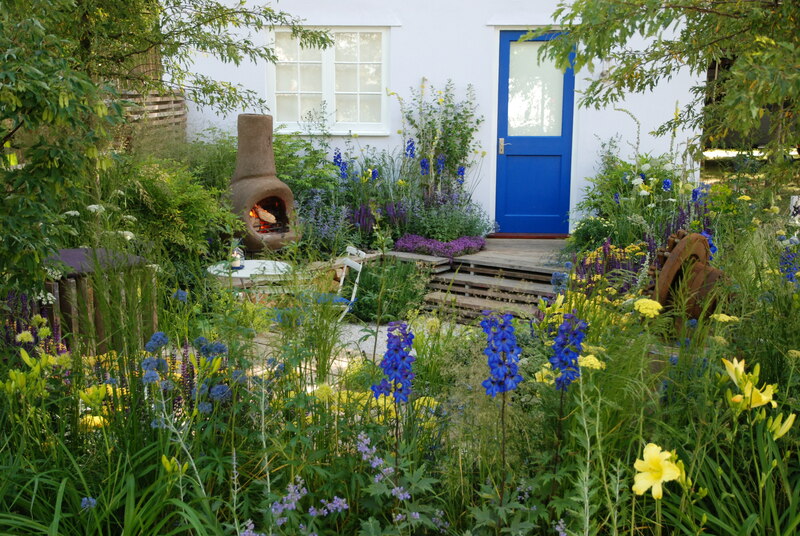 I love all my show gardens as they all have different characters and beauty, and have all been awarded a gold medal by the Royal Horticultural Society. However I had a deeper connection the Turkish Garden of Paradise given my roots. 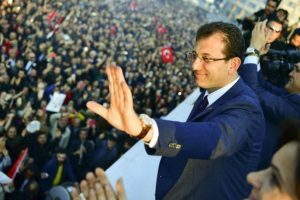 It represented rich Turkish culture and flora, which will encourage people to visit Turkey as a horticultural destination. 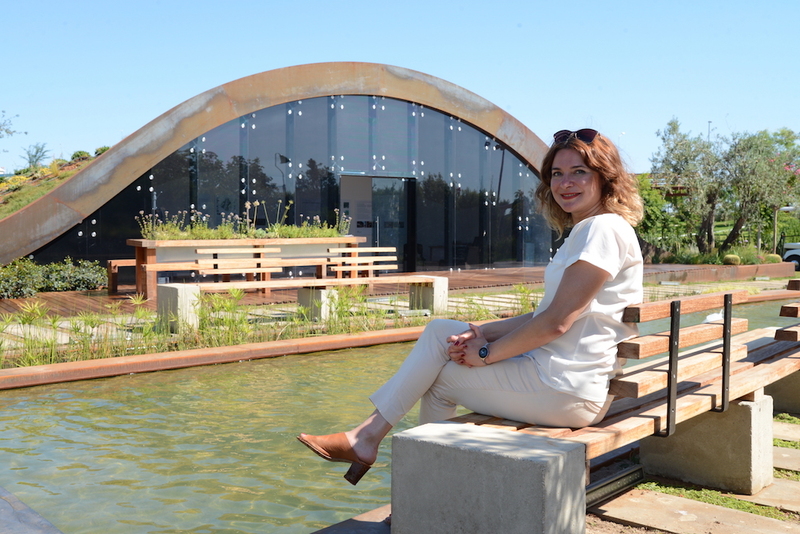 Last year, my Green Oasis Garden at EXPO 2016 Antalya was awarded the Innovative Garden Special Prize. It was my first project and first award in my motherland. I was honoured. ‘Our first home, our first garden’ for the Hampton Court Palace Flower Show 2012, was my first design competition, and was awarded Best Show Garden. I was so surprised and happy – I wasn’t expecting a result like that. It was designed for a young professional couple and built with a very small budget. I had to be more creative, using reclaimed scaffold boards for walls, steps and decking, and recycled ceramic gravel in the garden, which kept the costs down and also lowered the carbon footprint. The Commonwealth Park in Gibraltar was the island’s first public park, designed for the Gibraltarian Government. It was the first time I worked as a lead designer to create a park. During the design process I walked, ran, and felt the space. I basically lived in every corner of the park in my mind before it was built to ensure I didn’t miss anything. Fortunately the result was very successful. The Gibraltarians love the park: families come with their picnic baskets, and allow their little babies and children to run through the park. Everybody looked so happy and excited. I was so emotional when I saw that on the opening day. That is the best award that a landscape architect could have. For ‘Turkish Garden of Paradise’ at the Hampton Court Palace Flower Show 2015, I did a lot of research about early Turkish gardens. It made me realise what fantastic gardening history we used to have. The gardens were shaped by Turks’ nomadic lifestyle in Central Asia, who lived in places according to the suitability of the landscape around them, for example near rivers. After accepting Islam in the 10th century, Turkish Sultans developed the idea of ‘Gardens of Paradise’, which influenced other gardening styles around the world: the Renaissance, Moorish and Roman gardens. The concept for my Turkish garden was based on this amazing heritage, with a modern approach, capturing the essence of these early Turkish gardens and what life means to Turks. The Green Oasis Garden at EXPO 2016 Antalya (pictured top), Turkey, is based on a ‘Green City’ concept that covers 1045m2. 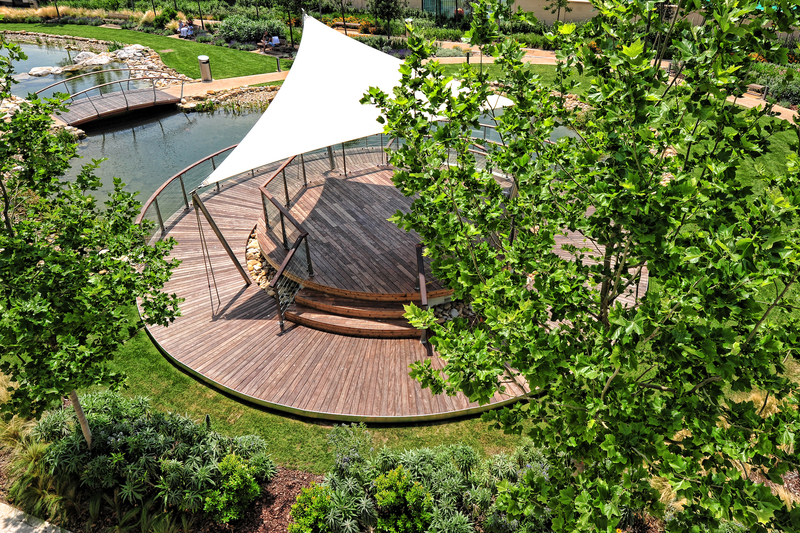 It was awarded The Innovative Garden Special Prize, and is a permanent space that’s open to the public. 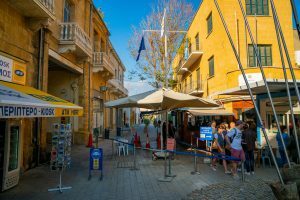 The design aimed to demonstrate the value of ‘living green’ and encourage investment in sustainable green spaces, and provide ideas for city designers, planners and homeowners, showing how to make our cities truly green. The garden includes 21 trees, water fountains, a green roof, a rain garden, a pool, permeable pathways, solar panels, sculptures, a planted table and insect hotels. Its key features aim to lessen the urban heat island effect/global warming, capture air pollutants, produce oxygen, save energy, and promote biodiversity. I hope we will see more projects like this in Turkey and elsewhere. Given the country’s construction boom, is there enough emphasis on green living in Turkey? It is a very good question. Unfortunately I can’t say that Turkey has an efficient strategy for green living. It is hard to find green spaces in the cities to breathe and relax. The government and the Landscape Institute should work harder to make developers, architects and landscape architects create more green and sustainable spaces with low carbon footprints, and have strict guidelines, like in the UK, to pass planning before the construction phase begins. Which gardens and human-made landscapes do you love most? I really love High Line Park in New York and Queen Elizabeth Olympic Park in Stratford, London. They successfully made redundant and forgotten spaces alive again, changing the surrounding environment significantly for the better. Queen Elizabeth Olympic Park especially has a high sustainable approach with plenty of trees and meadow planting, which provides a rich biodiversity. I love socialising with my friends, discovering new trendy places, going to see plays, musicals, movies, gigs, visiting art exhibitions, walking in beautiful gardens and parks in Britain. Travelling is my most favourite thing – it is great to escape and get to know the world better, and enjoy diverse cultures. What’s the hardest thing about your job, and the best? The hardest is preparing design fee proposals for clients. The best thing is seeing my projects when they are completed in real life, rather than on paper, and also seeing the satisfaction on my clients’ faces. What space would you love to work on and what would you do with it? I would like to design a show garden for the Chelsea Flower Show. I have really good ideas and it needs sponsorship. It would be a Turkish garden. I cannot say more for now (she says smiling).